Diminutive and soft-spoken Supreme Court justice Ruth Bader Ginsburg turned 85 last month. Fans like to call her The Notorious RBG - a play on the name of the rapper Notorious BIG. She doesn’t seem to mind the association. A new documentary looks at her life and work. She used to be a lawyer with the ACLU, fighting for women’s rights. 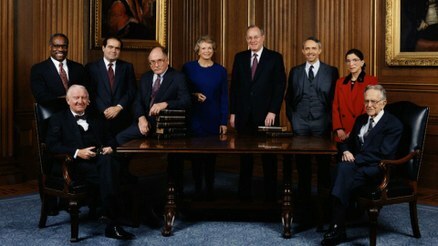 The Supreme Court Justices, c. 1993 in "RBG." 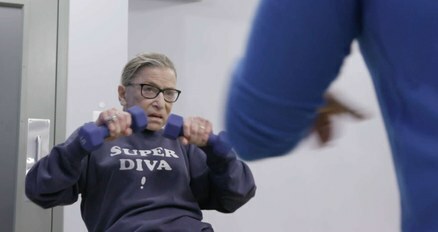 Ruth Bader Ginsburg during a workout in "RBG." 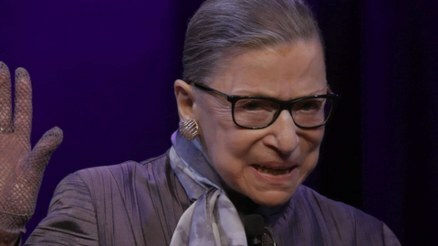 Ruth Bader Ginsburg in "RBG." Writer Leslie Jamison talks about her alcoholism, and how she tries -- as a writer -- to make the recovery story as interesting as the addiction story.